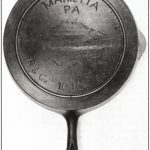 Cast iron cookware marked “MARIETTA PA” occasionally appear at antique markets, particularly in the Northeast. 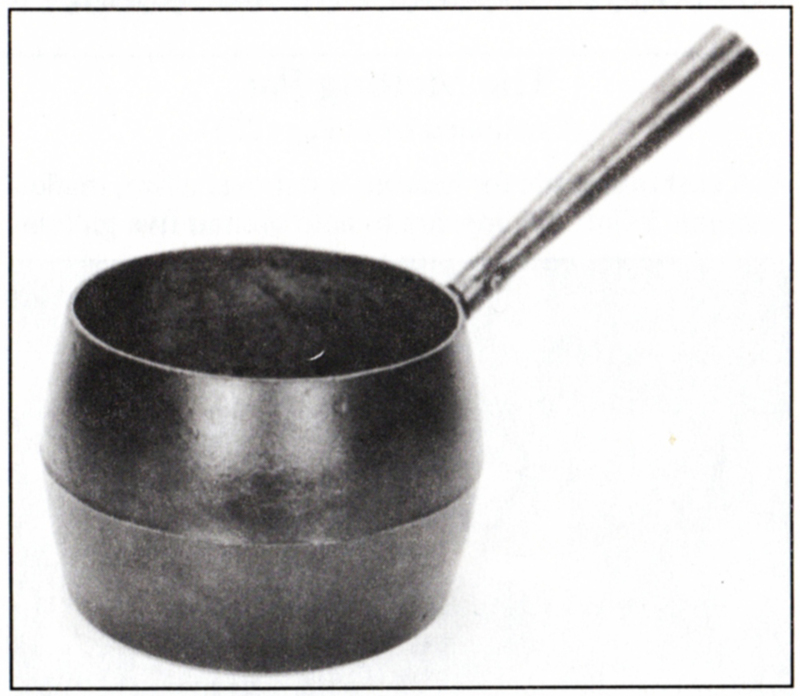 The most frequent piece is a Marietta Foundries glue pot, a small double kettle which acts as sort of a double boiler (ﬁg. 1). Glue is placed in the inside pot which is then set into water contained in the outside kettle. The glue is heated for use. Marietta Foundries Glue pots came in many sizes, from about l/2 pint to a quart or more. Because they are not cookware, they do not interest me to any degree; however, I did acquire one from a friend who unwittingly acquired it, believing it was a great ﬁnd. Fig 1. 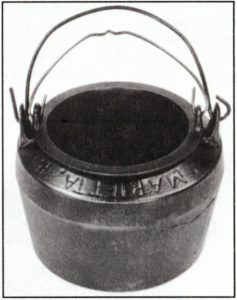 Marietta Foundries Glue pot marked, MARIETTA PA, 1. The inside kettle is unmarked. 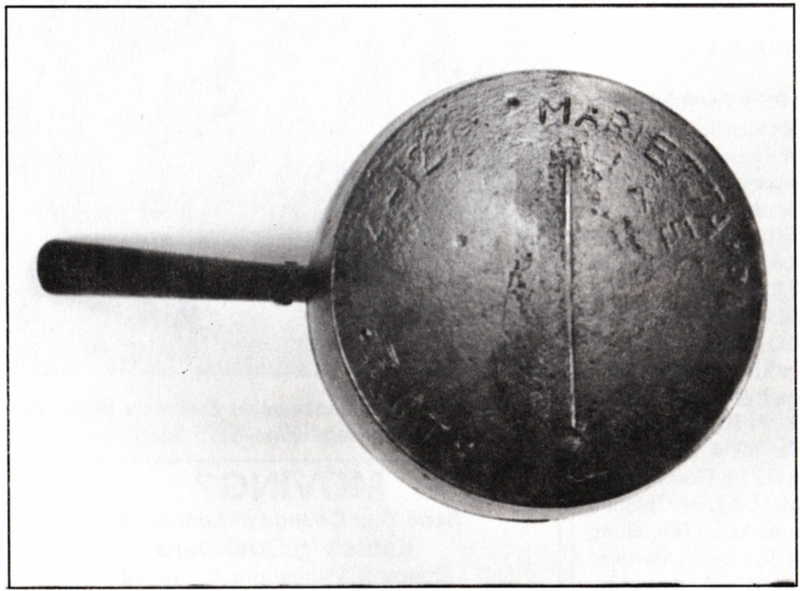 Probably the next most common Marietta cast iron cookware piece is the Sauce Pan (ﬁg. 2). They seem to be everywhere. The most ‘ common size is two or three quart. They also came in smaller and larger sizes. Griswold also made this style, and were marked Erie. They are a great ﬁnd! 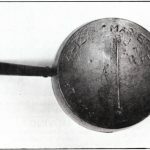 Skillets marked “Marietta” are scarce, particularly the larger sizes. Sizes 7 and 8 seem to be the most likely found. The No. 10 photographed for this article (ﬁg. 3) is a good ﬁnd. 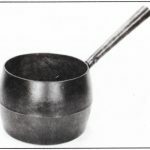 In fact, larger sizes, such as No.s 9 & 10 seem to be much much more difﬁcult to ﬁnd than the smaller sizes of any skillets manufactured in the early to mid-1800s. So what or who was Marietta? According to historians, in 1803 and 1804, David Cook and James Anderson began developing two towns side by side along the Susquehana River in Lancaster County, Pennsylvania. Eight years later, they agreed to join the two communities, and by combining the names of their wives, Mary and Henrietta, called the new town, Marietta. Marietta soon became a vital river town for lumbering, transportation and industry. From 1840 through 1900 there were six foundries, or more correctly “furnaces” operating in Marietta. According to Lancaster County Historian, John Loose, “…people persist in calling blast furnaces ‘foundries’ because they are capable of pouring cast iron items although they were used principally to make pig iron—for the actual foundries. Moreover, the general foreman usually was called the ‘founder’. The plant that made [most of] the cookware and hollowware was the Marietta Hollowware and Enameling Company,” he continued (fig. 4). The Marietta Holloware and Enameling Co. was organized in 1876. They produced all kinds of hollow castings such as toilet bowls, lavatory basins, cast iron cookware, ink pots for stencils, glue pots. teakettles, and cookware including sauce pans, skillets, and kettles up to 32 quarts. During the 1920s the demand for enameled hollowware decreased, and the depression put an end to the company. I have seen the following markings on Marietta Pieces: MH&E CO, R & Co., MARIETTA C Co., SM Co., and MARIETTA MFG Co. The MH&E Co. is the Marietta Hollowware & Enameling Co.; the R & C0 may be a product of the Reinhold & Company that worked during the 187Os- 1880s, according to historian John Loose. 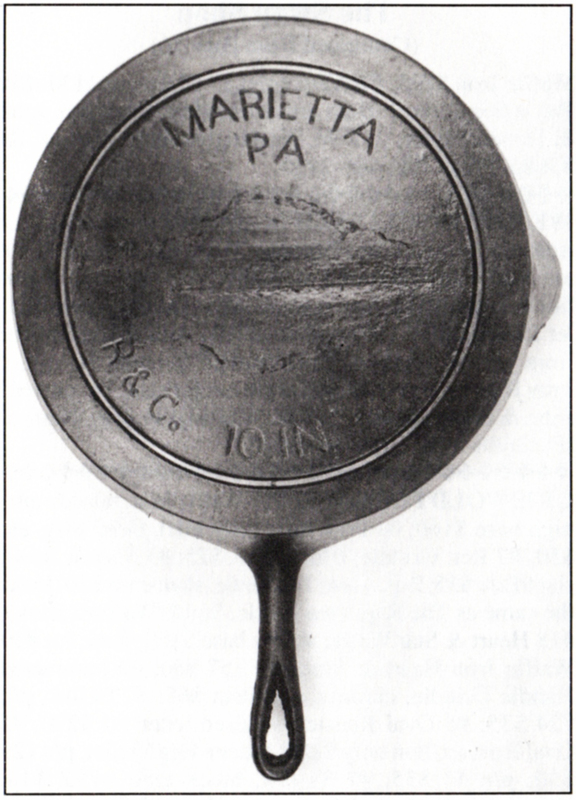 Marietta C CO was the Marietta Casting Company, a small foundry adjacent to the Marietta Hollowware & Marietta Foundries Enameling Co., operating in the 1890s- 1900s. The Marietta Manufacturing Company (Marietta MFG CO) also was a foundry and machine works operating in the 1890s and early 1900s. 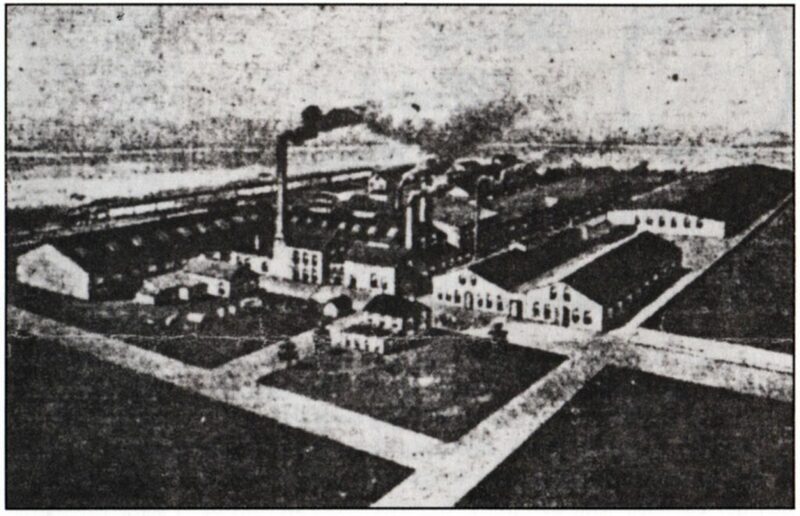 It was the successor to the E.L. Reinhold foundry. “SM Co has me puzzled,” commented John Loose. “I have gone through all the 19th and early 20th century directories without any success other than a bit of evidence sufficient to create a hypothesis. Stump & Mueller, a Marietta hardware store in the 1890s, may have had some pieces cast for their trade.” This is probable; it was very common for manufacturers to produce custom marked products. Griswold Aluminum Tea Kettle: Not Made By Griswold!